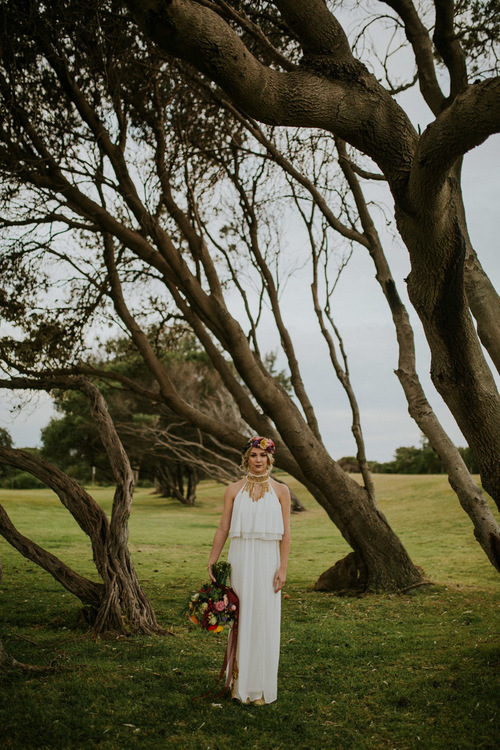 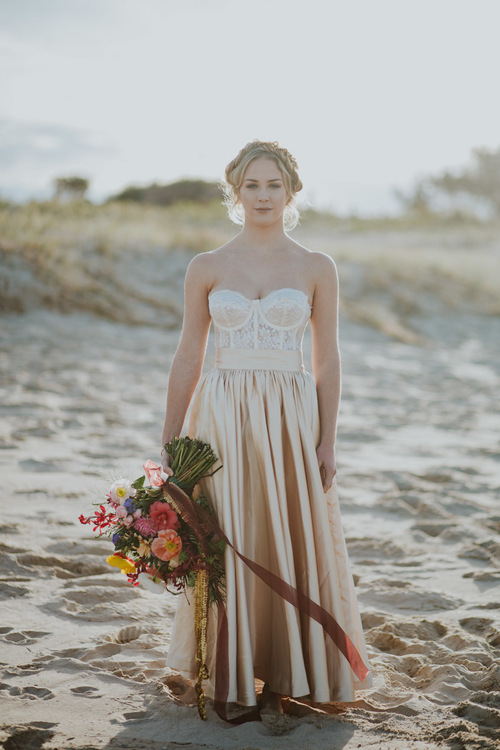 Shot at a beautiful South Coast Beach, Sweet Spring Love combines vintage gowns, relaxed boho hair, bright wildflower blooms and a stunning sunset. 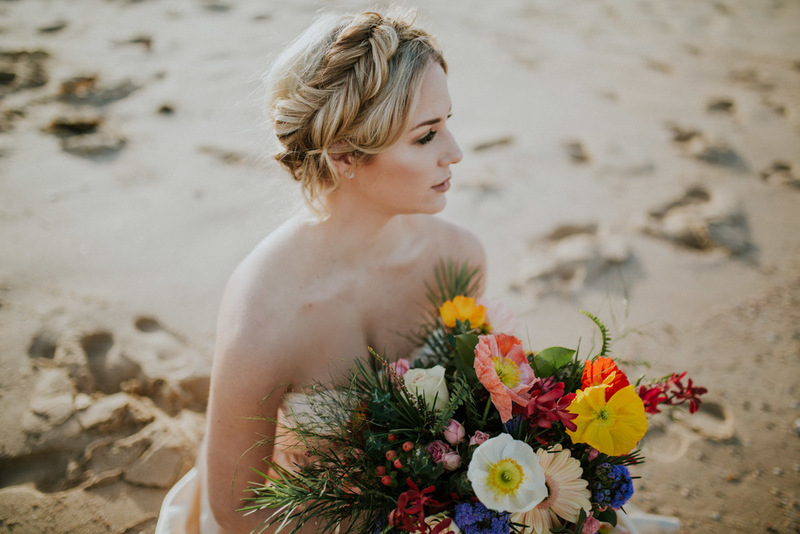 We are completely in love with this stunning group of images, and loved working with such a wonderful bunch of creatives. 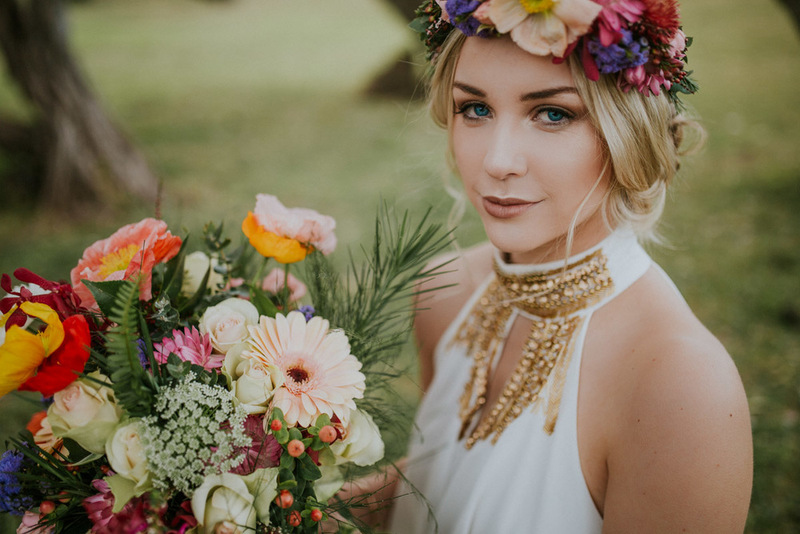 Our team had less than 18 hours notice to bring this shoot together, so you know you work with some of the best in the business when this is what is produced. 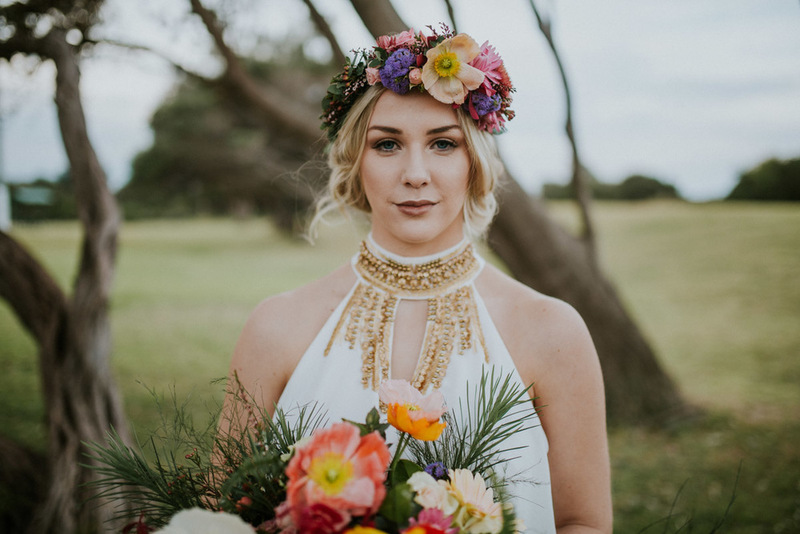 Poppies, Kangaroo Paw and Paper Daisies are the hero of these florals and we are just loving the bright pops of colour bringing this shoot to life just in time for Spring wedding season.